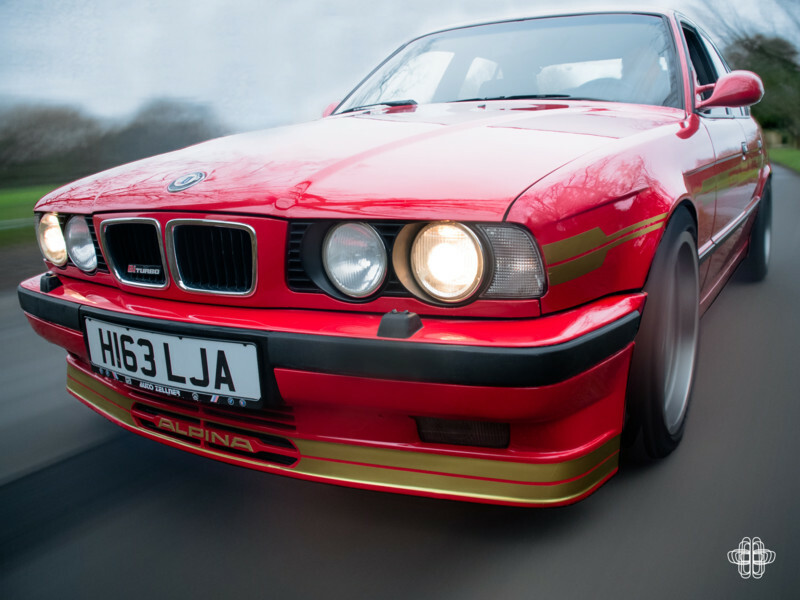 I write this article with a certain sense of satisfaction: I can tell the tale of how I managed to meet this beautiful Alpina B10 Bi-turbo. 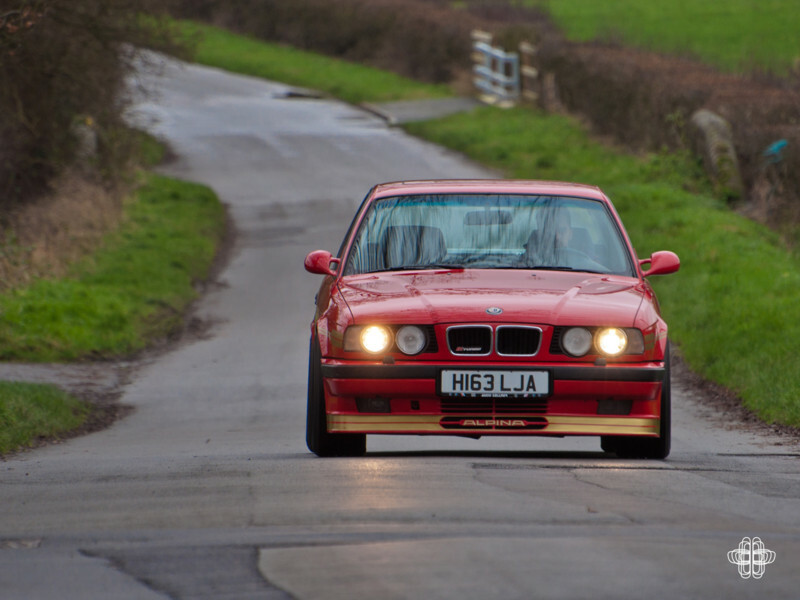 My love story begins at the BMW National Festival at Gaydon, last year. In my typical ‘Billy No Mates’ fashion, I made small talk with some of the BMW Car Club members from my region for as little time as possible after arriving. Once I felt my presence had been noted, I set off into the show by myself armed with no more than my camera and the day to pass. I trawled the lines of cars in the main show ground admiring my usual favourites: Z3 M Coupes, 3 litre CSLs, any 5 Series, 8 Series, and E24 6 Series. Needless to say, I was rather impressed by the cars on show. For those that have not been to Gaydon, firstly, sort it out. Secondly, the main show ground is the car park to the Heritage Motor Museum. There is a pond and grass hill to the right of the museum that the individual car clubs seem to be placed. 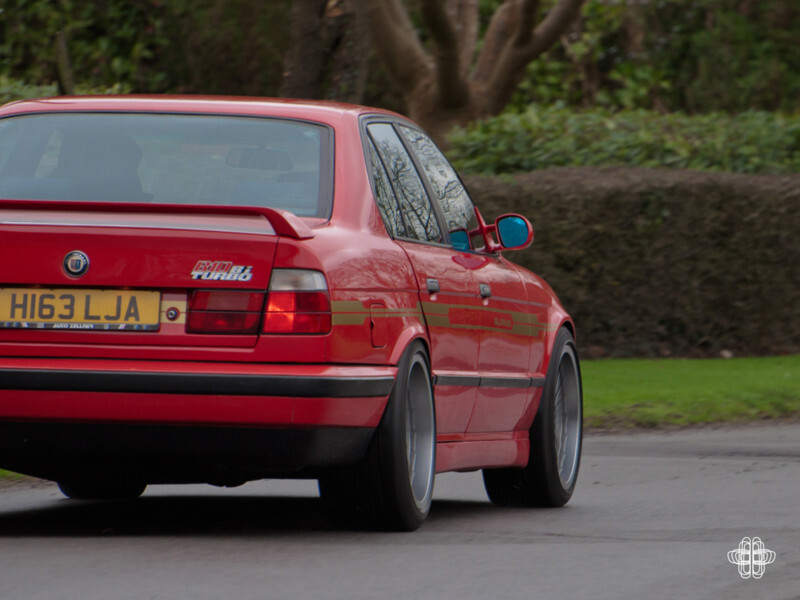 I hope it’s fair to say that it’s almost a secondary car show for the smaller BMW marque clubs. I was wandering through the clubs when I spotted it, parked largely by itself under a tree. 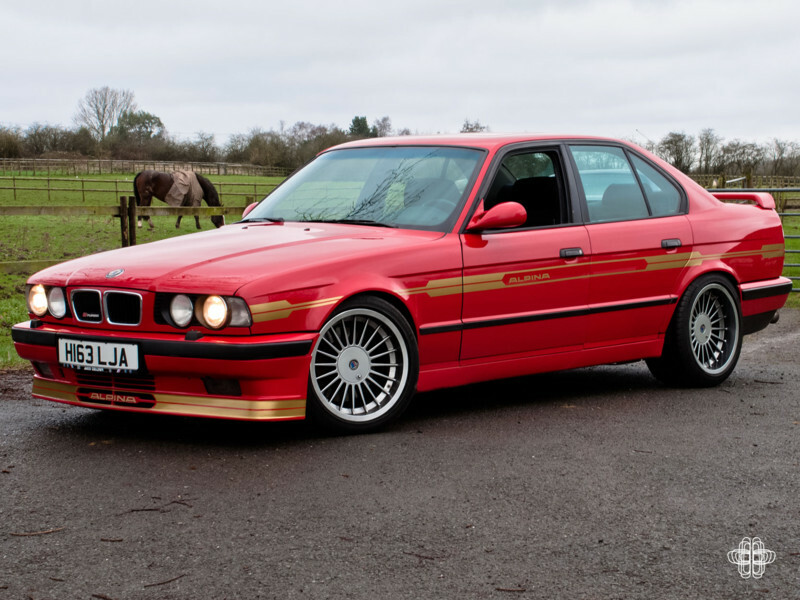 It was sat there: a vision in red and gold, this E34 Alpina B10 Bi-turbo. Now, I’m a sucker for a red car, and also for a 5 Series, so seeing this car my jaw hit the floor. To my eye it was the car of the show, and yet it was just tucked off to the side of the showground. I immediately took more pictures of it than was entirely necessary. Throughout the day, I returned to it several times hoping to have a word with its owner. Sadly our paths didn’t cross but I went home happy in the knowledge I’d seen such a great car. After the show I edited the pictures I had taken, added them onto my Instagram account (@Gfrank_1984) and not long after someone had tagged another user in the photo. I followed the Instagram trail and lo and behold, it was the owner! With other work on, it took me until the end of November before I could broach the subject of shooting the car properly and writing about it. Usually when I make contact with owners, people will need some convincing that I’m not a car thief looking to steal their pride and joy. However, in this case within 24hrs I’d got a name, a contact number and we were arranging a time to do the shoot. Enter owner Ali Visram, a thoroughly nice chap from Birmingham. Between him and his brother, they have quite the collection of cars, mostly Mercedes, amongst various others. 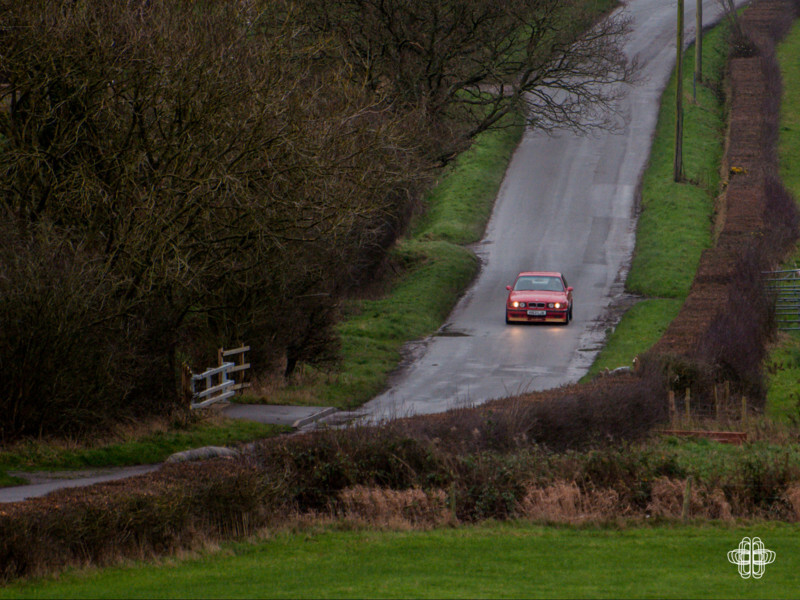 A few days before Christmas, in the pouring rain, I was driving to Birmingham to shoot the car. 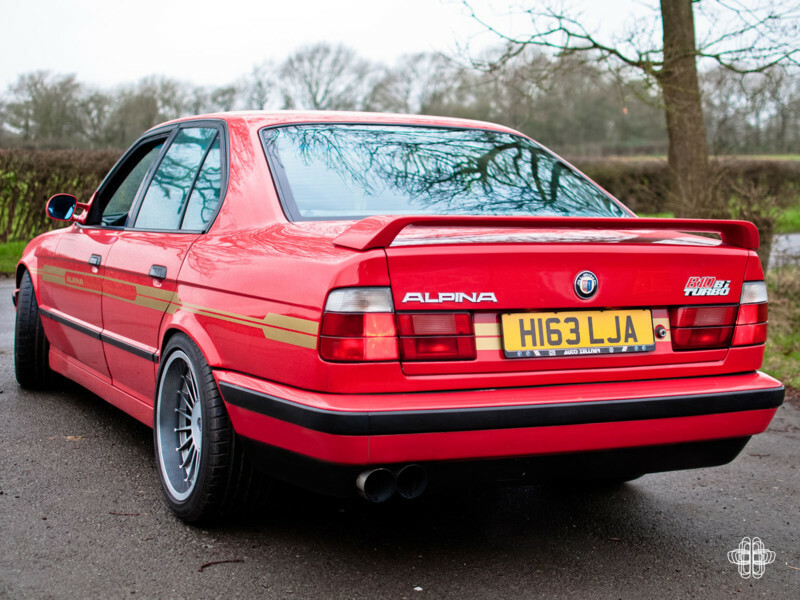 I met Ali at his lock up in an unassuming street, the usual pleasantries were exchanged, the shutter to the lock up was rolled up and on this extremely wet grey day, sat front and centre was the Alpina. One of the first things that hit me was the colour: it is a very vibrant red. Ali explained that the original purchaser of the car was a German doctor (as we get into the car a bit more, see if he sounds more like a mad scientist to you as well!) 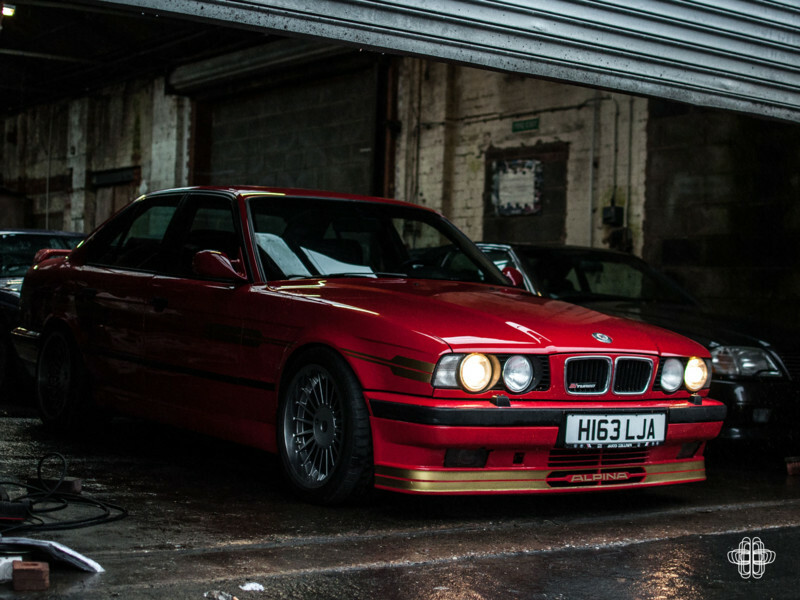 He didn’t like the orangey hue of Alpina red so had it repainted in Ferrari Rosso Red. I’m normally one for numbers matching cars, but perhaps my lack of knowledge of Alpinas means I can happily see past it. The car, from new, has always been a shade of red with the gold highlights and it is a rare combination. Set against the grey December day and Ali’s collection of nice, but darkly coloured Mercedes, the car really jumps out and shakes you. Ali and his brother have had the car since February 2014. It would seem that his brother was the main driving force in buying the car: Ali is a Mercedes man with his daily driver being a lovely W126 S Class AMG, but hearing him talk about the B10, you can tell they are both very proud to have it in their collection. So about the car: it was manufactured in 1991 and was originally bought and used in Germany by the mysterious doctor. Only 507 B10s were built and they use a 3.5 litre straight six for power, a variant of the M30. 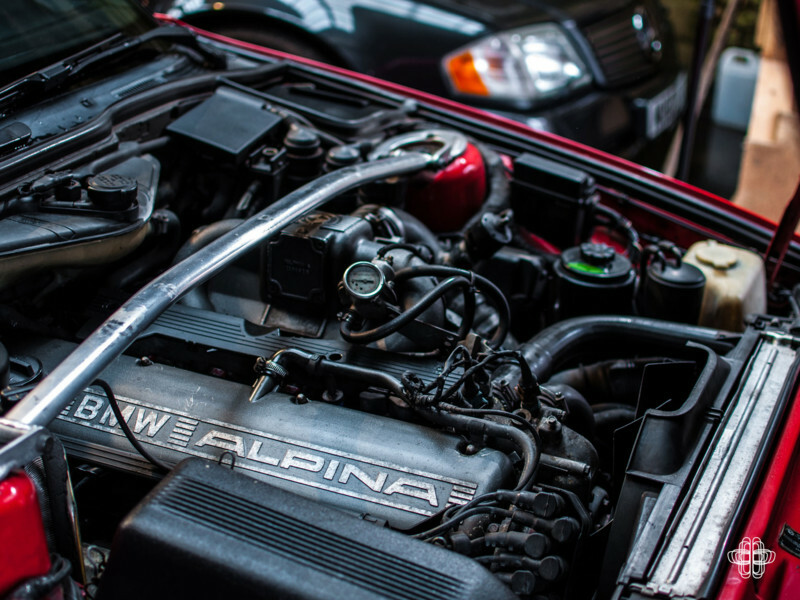 Alpina then gave the B10 twin parallel turbos giving the standard trim car a book power figure of 360bhp and 384lb ft. of torque. I’m extremely confident in saying that this car has been fettled a long way past that. Asking what other mods the engine has had, no one seems to know. To look at, the engine really doesn’t look like anything out of the ordinary at all. You can’t even see the turbos. The owner before Ali had seen 450bhp and 510lb ft. of torque from the car. The modifications we know of are a K&N panel filter and a decat, so unless the internet forums have been right all this time and you can see massive power and torque gains from such simple modifications, there are other features a-foot here. 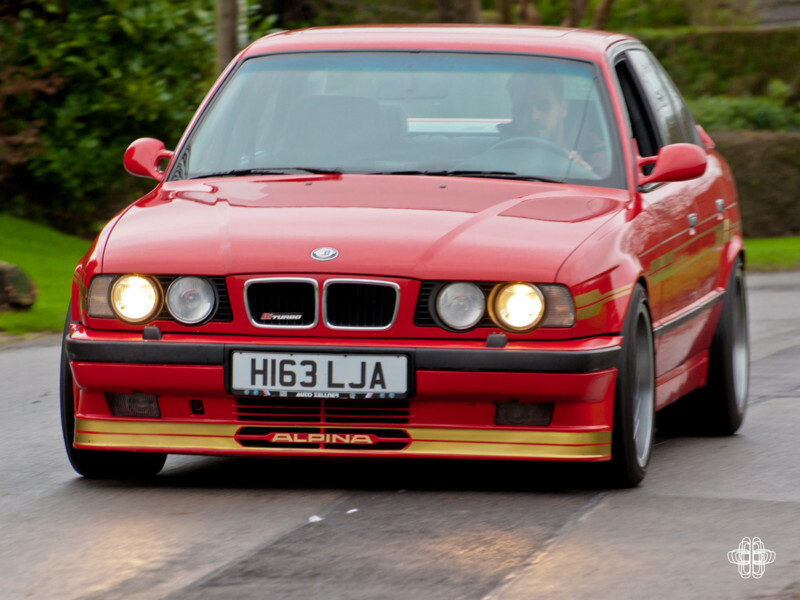 As we know with Alpina, if your chequebook is big enough the list of modifications that can be added is extensive. The doctor strikes again! 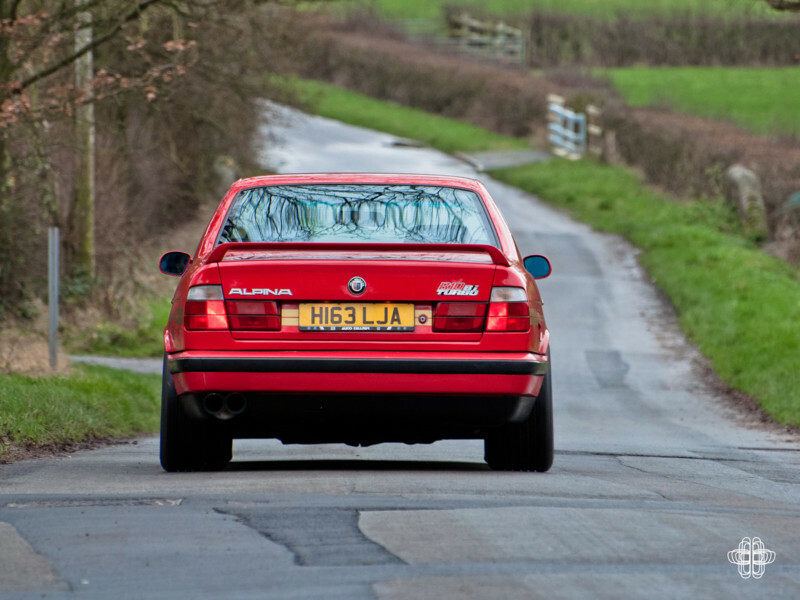 Whilst the origins of all that power are steeped in mystery, the results are really plain to see when you get the car out on the road. We headed out for a drive. As I said, it was a grey, cold, miserable day in the West Midlands and the car had a slipping clutch. Apparently parts are still available from Alpina and the current clutch has only had the surface material replaced previously. The clutch replacement is on the list before the 2016 show season kicks off. Don’t get me wrong though, it is not slipping significantly and you really do get a feeling for what this car is about. It also shows Ali’s attention to detail with his cars. The way it gathers speed is not frantic by any stretch. I’d almost go as far to say it was relaxed. It is a constant surge of strong acceleration that holds you in your seat. With the turbos working together there is no secondary push later in the rev range. It’s all or nothing from the off and perhaps it’s this feature that detracts from the overall sensation of speed. The ride is firm, having been lowered on coilovers and the 18 inch wheels were always going to lean towards a more choppy ride. The wheels are not only on there because they look fantastic; the brakes have been enlarged with the setup from an Alpina B12. These wheels have had to be fitted, as they are the only ones that clear the calipers. With this car weighing just over 1.5 tonnes you do notice the increase in braking performance. When we come to a twisty stretch of road, there is no need to be stirring the gearbox and ensuring to be in the right gear. The wave of torque is available in any gear right across the middle of the rev range. It is usable power and available at any time it is required. It just sweeps through the bends with no body roll or fuss. The car really does feel impressive and inspires confidence in its abilities. It’s here that you appreciate the cloth seats holding you firmly in place over the leather alternative. You get a small amount of chirp from the rear wheels rubbing on the arches, but there will always be compromises when the stance and look of the car is so right. The observant among you will have seen some 339k kilometres on the odometer, which would equate to over 210k miles. The car wears every single one of them with pride and is a real testament to how it has been maintained across its lifetime. A good car is a good car regardless of the mileage. 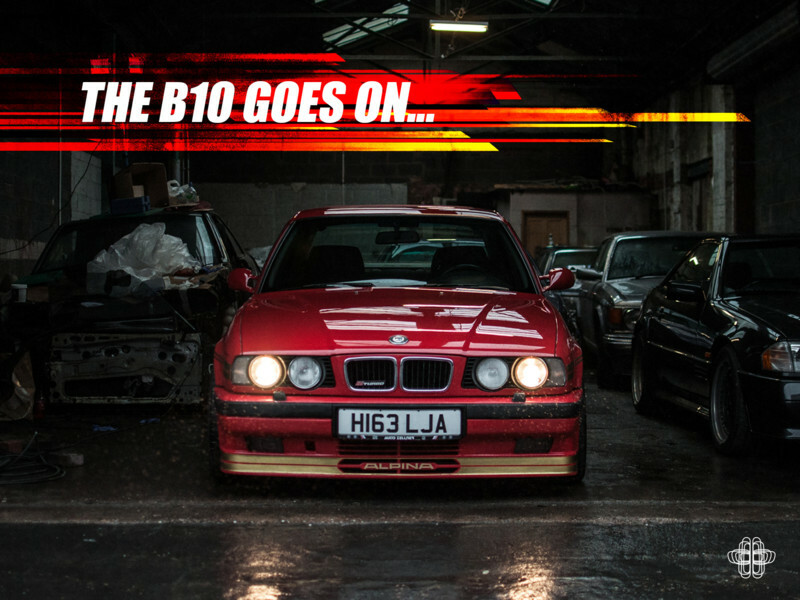 With BMW’s M division turning to turbo powered cars, the B10 is more relevant today than it has ever been. With its great build quality, fantastic road holding and spectacular looks, it is a model that deserves a moment in the spot light. It has been quite the journey from first seeing the car to now. It has been a real pleasure to track it down and finally get to meet Ali and his car properly. 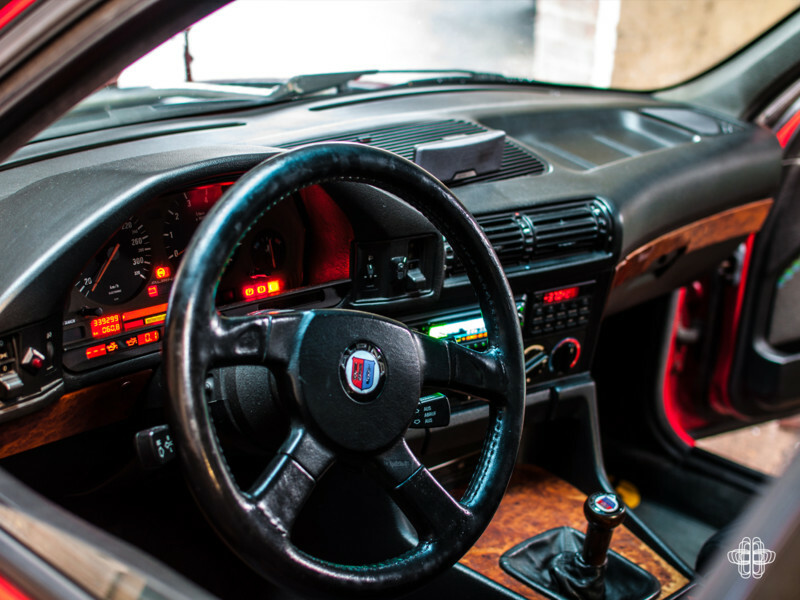 The B10 is rare and so often overshadowed by other contemporaries of the time *cough* the Lotus Carlton *cough* but having experienced both I can assure you that the B10 has certainly joined the Carlton in my dream car garage.